So today, I’m celebrating with an insane amount of macs and an insanely good giveaway ? 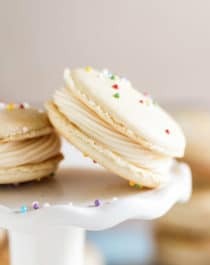 This recipe makes 56 macaron shells. You’ll be able to make 28 macarons total.